Toni Sepeda has been Professor of Literature and Art History in Northern Italy for fifteen years. 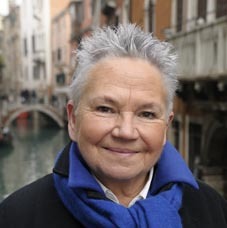 She has long conducted individual, authorized tours of Brunetti’s Venice. 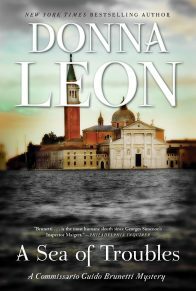 Follow Commissario Guido Brunetti, star of Donna Leon’s internationally best-selling mystery series, on over a dozen walks that highlight Venice’s churches, markets, bars, cafes, and palazzos. Walk 1 accompanies Guido Brunetti across Venice, beginning at La Fenice opera house and ending at the foot of the Rialto Bridge. Throughout this introductory walk, the many faces of Venice surface as Brunetti crosses some of the campi, which still serve as the major social meeting places for the city’s strollers. Once dominated by churches, functioning wells, and even grassy fields for cows, they now offer caf’s and ample room to lounge—lures for both residents and foreigners. For Brunetti, the delight in their architectural glory and their social ambience is often countered by dismay at the increasingly intrusive crowds. Whatever the Commissario encounters, he reveals himself to be a true Venetian, bewitched by the city’s beauty though aware of her corruption—never more so than in the initial book that introduces this walk and places Brunetti in the footsteps of history’s pageant of lovers of Venice. 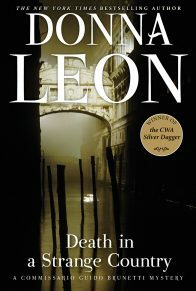 Risen again from the ashes like its namesake the phoenix, Venice’s La Fenice opera house (A) and its elegant campo offer a perfect midnight setting to introduce a solitary Commissario Guido Brunetti in Donna Leon’s first novel, Death at La Fenice. With one of Venice’s finest restaurants, a renowned centre for Classical studies, a Renaissance church, and an eighteenth-century musical theatre, Campo San Fantin mirrors many of the Commissario’s interests: his passion for food and drink, music and art, Greek and Roman classics—and, when the conductor is found dead in the opera house, crime. Earlier in the evening Brunetti would have approached this scene through a lively campo filled with well-dressed opera-goers and seen diners sipping prosecco at Ristorante Antico Martini* (B). He would have overheard the waiting audience in elegant groups chatting in front of the Church of San Fantin (C), its white stone Renaissance façade facing the Fenice’s own row of columns. The façades enclosing the campo would offer an excellent background to the spectacle outside as the one on stage inside is about to begin. And this outdoor theatre would have seemed no rarity to Brunetti, but a familiar part of the city’s ever-vain attempt to resuscitate its fading grandeur. The nearby institute of the Ateneo Veneto (D) with its Greek heritage would remind him of the city’s heritage, contributing to his lifelong passion for the classics and finely tuned ear for the subtleties of language. That it was once an institution whose members accompanied criminals to the scaffold is an irony not likely to be lost on the history-minded Commissario. By the time Brunetti escapes the opera house after the death of Wellauer, the earlier crowds in the campo are gone, leaving him in rare solitude to reflect on his native city. He begins by remembering her glory—Venice is always a female, if not always a lady—for the contrast between her regal past and her faded present is never far from his mind. Pausing at the opera house’s steps, exhausted from the late night backstage encounters with singers and musicians reluctant to discuss Maestro Wellauer’s violent death, Commissario Guido Brunetti delays the night’s last unrevealing interview with opera director Santore to linger over his city’s history and beauty. Once the capital of the dissipations of a continent, Venice had become a sleepy provincial town that virtually ceased to exist after nine or ten at night. During the summer months, she could remember her courtesan past and sparkle, as long as the tourists paid and the good weather held, but in the winter, she became a tired old crone, eager to crawl early to bed, leaving her deserted streets to cats and memories of the past. At these late hours of the night, after the Opera, the Hotel La Fenice (E) offers another glimpse backstage in Venice’s eternal play between truth and illusion. 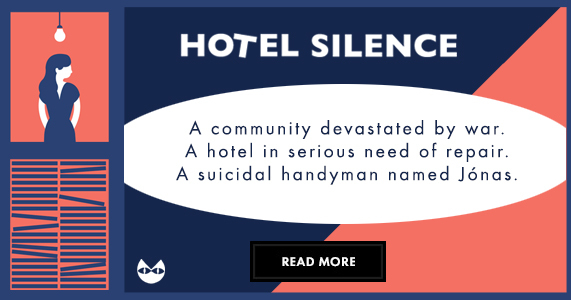 In any other city, the scene might appear incongruous for discussing a gruesome poisoning: a plush hotel lobby, amiable banter over brandies, tragedies in Greek, and accents bringing to mind an exalted past. 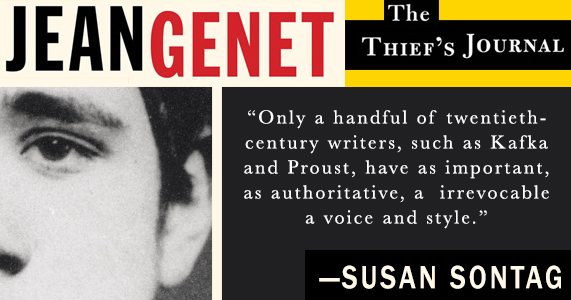 But everything contributes to Brunetti’s exploration of a witness, no matter how cultured. In a city that even in recent times published four different Italian-Venetian dictionaries to help the natives preserve their isolated character, the way someone speaks remains crucial to identity. Whether Brunetti hears the accents of Florence or the South, or Venetian dialect, the pronunciation of words often counts as much as the information they convey. 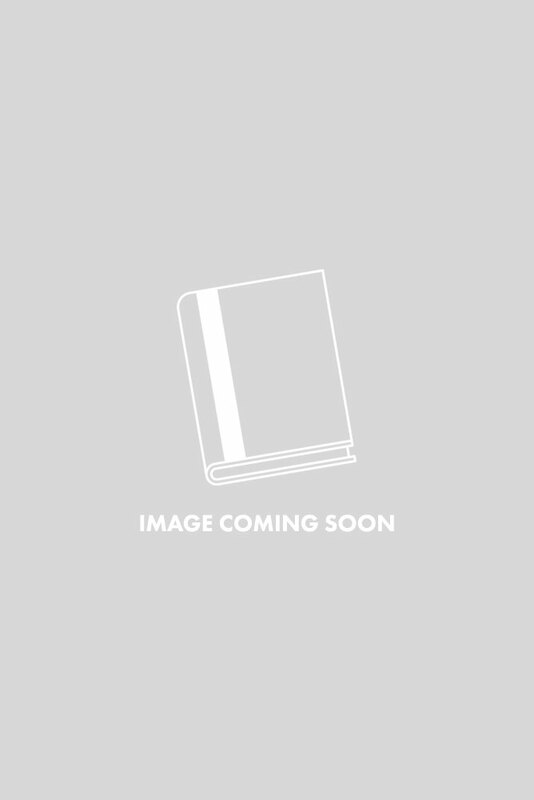 In literature, Brunetti often finds parallels to the contemporary world he inspects, giving his observations a depth and historical resonance appropriate for a native of a thousand-year-old city. Hearing Santore’s Florentine-accented Italian brings Dante to his mind. 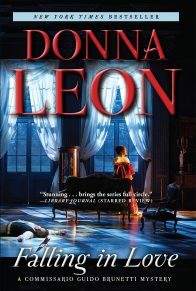 By book fifteen, Through a Glass, Darkly, Brunetti’s readings of the Inferno become essential to unravelling a fiery murder. 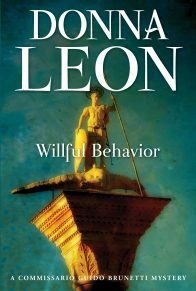 In all the novels, whether his beloved Tacitus, the cranky Gibbon, or the well-thumbed stack of Greek and Roman writers that is always near to hand, Brunetti discovers constant reference to former worlds, forcing him to ponder how little humane nature—or crime—has changed. It is this background that allows him to approach police work in a very humane and cultivated way. His late night conversation with Santore has the grace of civil company, allowing all questions of violent death to wait till after the brandy. Santore smiled at the question, hiding any surprise he might have felt that a policeman could read the title in Greek. 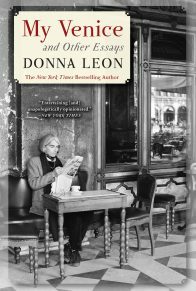 When Brunetti leaves the interview to walk home, Donna Leon marks her entry into a long and prestigious line of expatriate writers describing Venice—by providing Brunetti a rare emptiness for his first walk across the city. No place has been recorded so faithfully and affectionately by its foreign writers as La Serenissima. And no place has evoked such detailed descriptions of first sights as has Venice: Thomas Mann in Death in Venice insists the traveller arrive by sea—anything less is like entering a palace by the back door; Jan Morris in Venice sails into the lagoon from the sea, spotting the palaces like “so many invalid aristocrats jostling for air”; Goethe called her a “beaver-republic”; Hemingway in Across the River and into the Trees makes the dying Colonel Cantwell leave the back seat of his military sedan and climb a high hill for a sight of the city he loves more than any other. Brunetti, however, is not an expatriate but a native with a unique way of registering the city, the people, the calli and canals, the boats and buildings. And he inhabits a city almost inconceivable in the twenty-first century: an urban space where people still move at a pace not much swifter than the oar. He is not rich, does not own a boat. There will be no exhausted late night calls for a private, costly water taxi. Instead, his struggles with the criminal world are mirrored throughout the novels by his walks along the sinuous calli and his daily attempts to navigate the city by the transport available; vaporetti, traghetti, police launch; on foot he steadily battles the tourist throngs and the narrow and clogged passageways, some too small to open an umbrella. In this first walk, however, blessed by solitude and silence, Commissario Brunetti, after glancing up at the stars and noticing their beauty, heads towards home, cherishing the rare empty pathways and the peace of the deepening night. 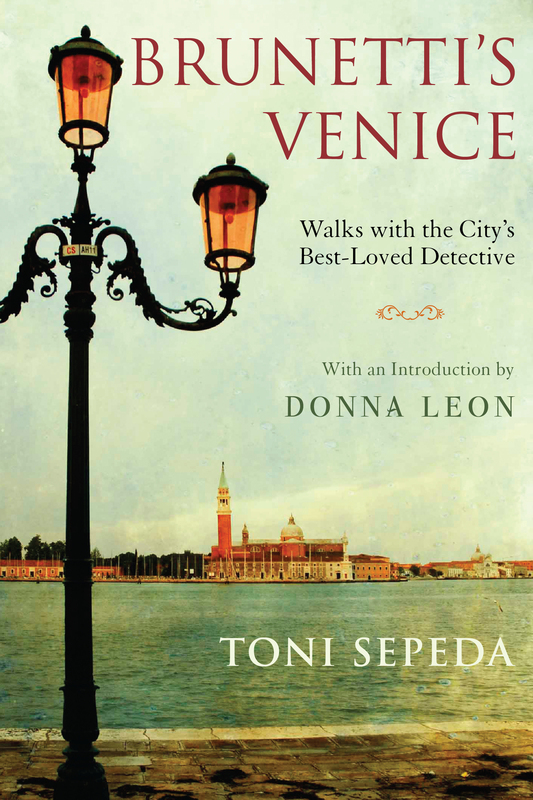 Again, he shares his vision of Venice influenced by mood, the time of day and the surrounding atmosphere with literary ancestors. He is preceded by a long line of writers, all paying their tribute to the city: John Ruskin, Jan Morris, Henry James, Ernest Hemingway, Heinrich Heine, Rainer Maria Rilke, Goethe, Nietzsche and Proust. Across the bridge, he walked through the now abandoned market. It was usually a cross to bear, shoving and pushing through the crowded street, through herds of tourists jammed together between vegetable stalls on one side and shops filled with the worst sort of tourist junk on the other, but tonight he had it to himself and could stride freely. Ahead of him, in the middle of the street, a pair of lovers stood, glued hip to hip, blind to the beauty about them but perhaps, after all, somehow inspired by it. Brunetti’s walks are rarely so serene or peaceful as this first journey across from the opera house to his apartment in Death at La Fenice. Whenever police business takes him into the far reaches of the city, the urgency of crime at his heels forces him to calculate how to get from one place to the next in the shortest time and over the fewest bridges. Since the physical geography of Venice is so confusing, further complicated by an erratic address system arranged not by calli but by the six existing regions (sestieri), locations remain a central preoccupation for its residents, with everyone measuring distances. Brunetti’s inner map focused on the campo, viewed first from the entrance from the bridge and then from Calle della Mandola. A restaurant where he had never eaten, an art gallery, the inevitable real estate agency, the edicola with the chocolate Labrador.